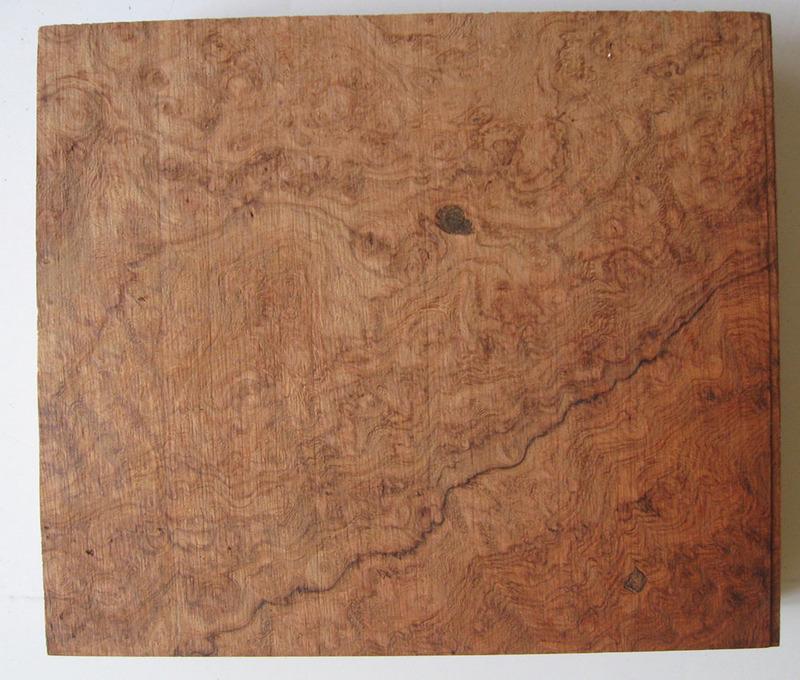 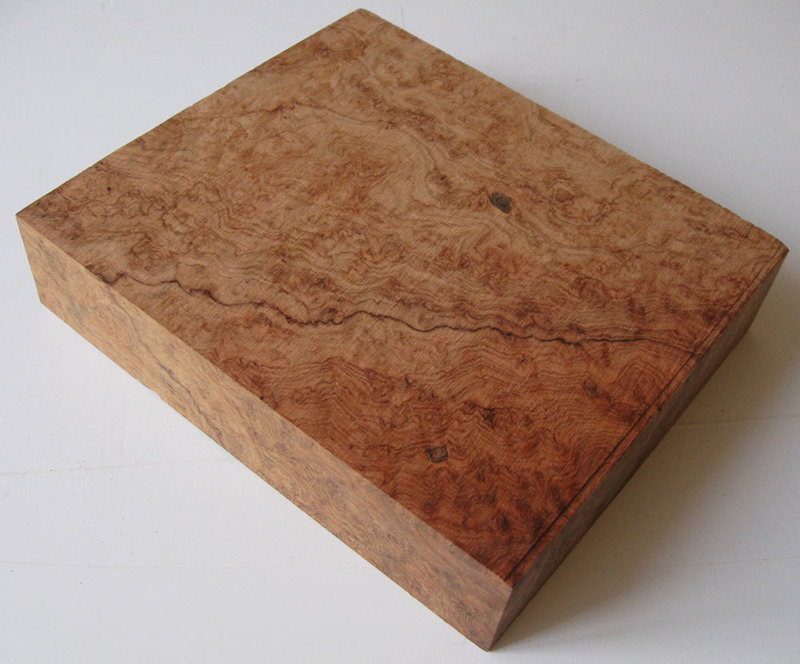 6" x 5- 1/8" x 1-5/16"
This amboyna burl block is from David Pascoe's stock. 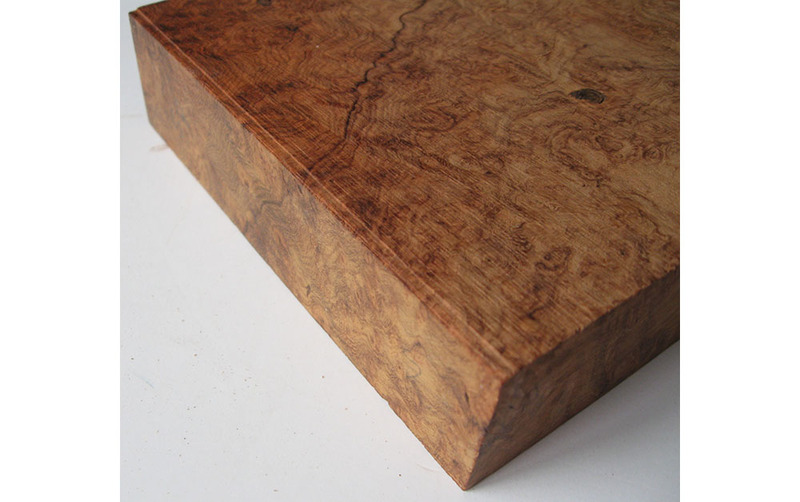 Visit Amboyna Burl Boxes for finished look. 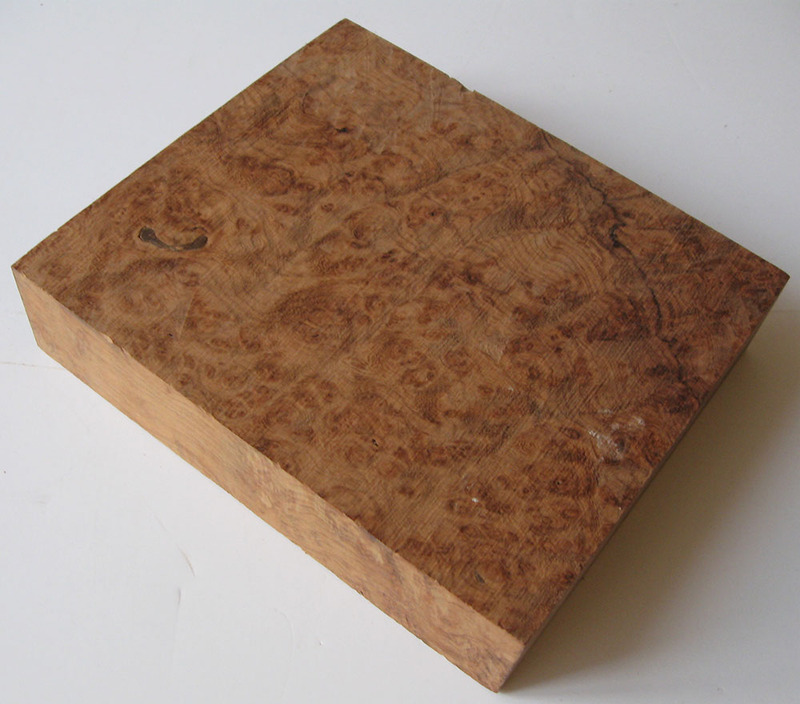 There is a shallow, about 1/8" width cut on one end. 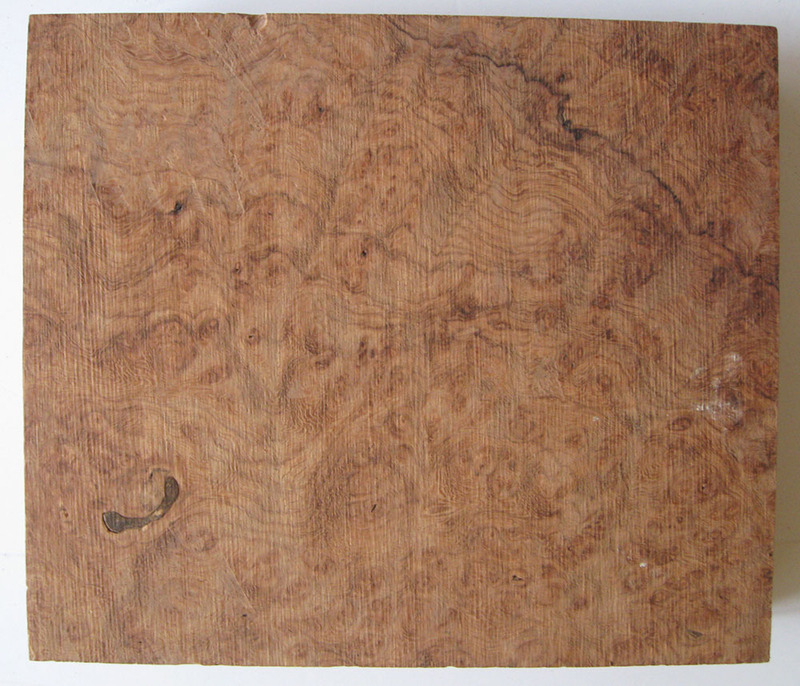 Please check close up photo.